The House of Aran sources the most sought after whole leaf teas from holistic and biodynamic estates that use natural farming methods. We select specific seasonal harvests that capture and usher in the quintessential flavour, qualities and soul of the terroir. Our handcrafted, artisanal blends are enveloped in fully biodegradable 100% cotton muslin tea pyramids. Free from chlorine and any polypropylene or other plastics, they not only bring forth the complex and unique flavours of the blend, but also cut down on plastic waste getting into landfills and oceans. No "fannings" or "dust". No chemicals. no pesticides. No aggressive farming practices. No synthetic material in teabags. 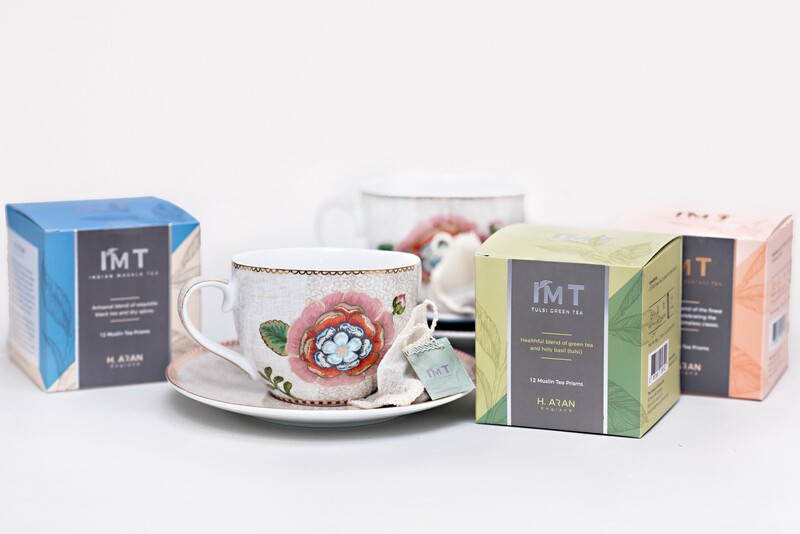 Artisanal blends of meticulously chosen finest whole leaf teas and the purest natural ingredients. Buy any of our hampers for a chance to win a handcrafted contemporary wool rug courtesy of Ana & Noush! Visit www.ana-noush.com to avail an exclusive discount code valid during the Spirit of Christmas Fair! I'M T by The House of Aran Wins Great Taste 2018! 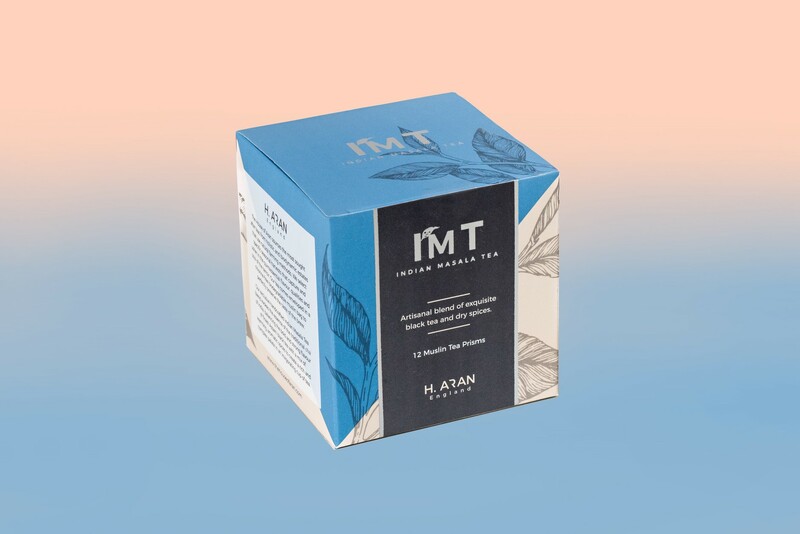 I'M T by The House of Aran started its journey in January 2018 and we sent our Indian Masala Tea blend at the early stages of our formation as our launch product. We are thrilled to be recognized at this prestigious forum and are extremely proud of winning the coveted Great Taste 2018 award for our exquisite Indian Masala Tea blend. Judge 1: Good looking blend, subtle spice notes on the nose. The tea looks warm and inviting in colour with delicate spiced aromas again when brewed. Full strong Assam flavour is a perfect carrier for the spicing. Really warms the mouth and calms the spirits. The translation from blend to brew is true and has bags of flavour. Beautifully balanced Assam and chai spices make for a well executed classic. Judge 2: A great mix of interesting aromatics. Judge 3: A clear amber liquid with an Assam aroma. Thank you for your support at the Speciality and Fine Food Fair 2018 at Olympia, London! I'M T by the House of Aran was also featured at the Great Taste Pavilion at the Fair. Thanks for all the encouraging comments and feedback we received. Your comments resonate with our own research into the market, which indicates significant changes in shoppers habits when it comes to tea. Today's consumer is turning to premium, high quality taste experiences but with integrity of provenance and ethical sourcing. These key factors are an integral part of our philosophy. 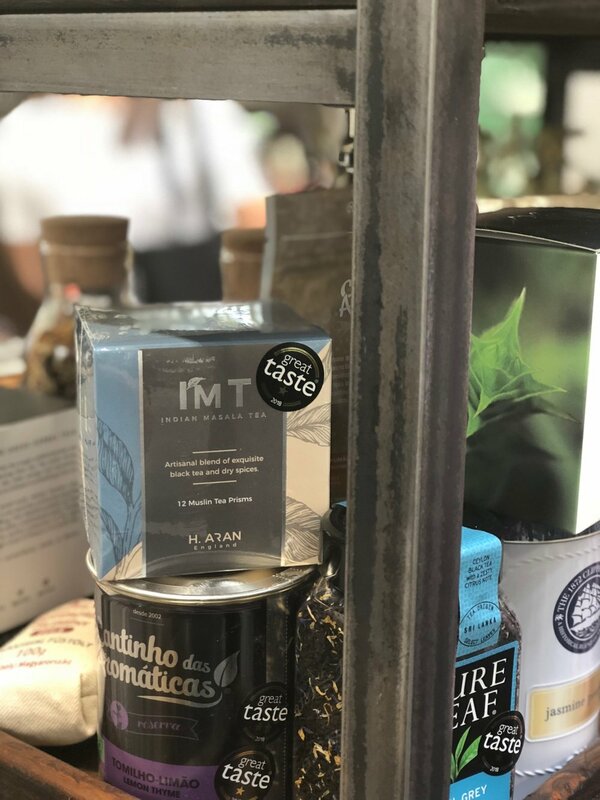 The official launch of I'M T by The House of Aran at the Natural and Organic Products Europe 2018 in London, April 2018. We officially launched our exquisite whole leaf tea blends at the NOPE, London 2018 show. Thank you all for visiting our stall (V24A) and supporting our products! We were extremely proud and deeply humbled to be shortlisted by Holland & Barrett for the 2018 Innovation Pitch Live! One director Puneet Sethi presented our products to a panel of Holland & Barrett judges including the CEO Peter Aldis.